I use this song to introduce Money Vcabulary. It is up-to-date and makes students arrange a discussion on the topic. 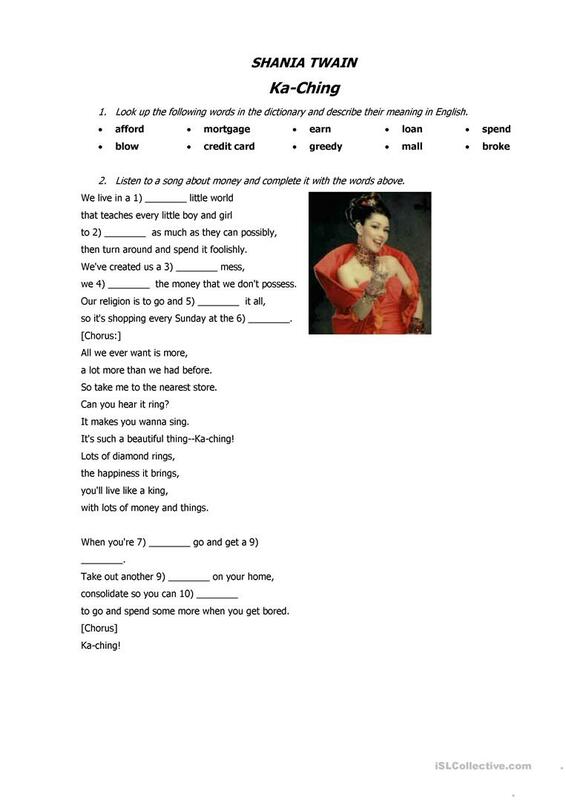 You can start the lesson with the line from the song "all we ever want is more" and continue with the exercises on the worksheet. You and your students will have fun! The present downloadable teaching material is meant for business/professional students, high school students and adults at Pre-intermediate (A2), Intermediate (B1) and Upper-intermediate (B2) level. It is excellent for enhancing your pupils' Listening, Speaking and Writing skills. 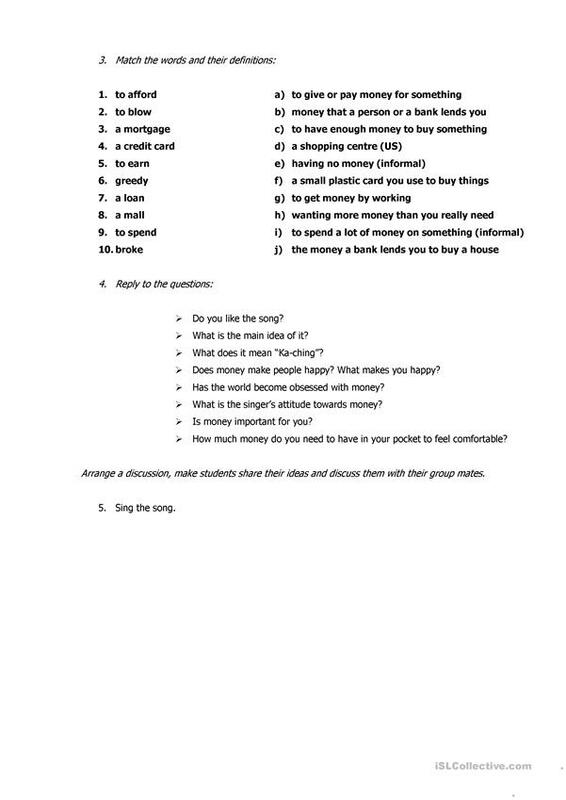 It is about the vocabulary topic of Money. Kuznetsova is from/lives in Ukraine and has been a member of iSLCollective since 2011-01-20 10:04:09. Kuznetsova last logged in on 2013-11-05 10:28:24, and has shared 1 resources on iSLCollective so far.